This is a behaviour called infanticide. Infanticide is broadly defined as the killing of dependent offspring by an adult of the same species (a conspecific) and is relatively common among animals. The reasons for infanticide are poorly understood, but several theories have been offered. The Predation Hypothesis (PH) suggests killing is done purely to obtain food, while the Resource Competition Hypothesis (RCH) considers that infanticide removes potential competitors, thereby leaving more food for the ‘killer’ and their offspring. The Adoption Avoidance Hypothesis (AAH) is highly specific and suggests that killing the young of others is a way of preventing alloparental behaviour – i.e. it prevents a mother adopting a youngster that isn’t hers. There are other, so-called, non-adaptive explanations, which consider there’s no evolutionary benefit and the young just fall foul of increased aggression or some aberrant behaviour in adults; wrong place, wrong time. Given that the behaviour is most commonly observed in adult males, the most oft-cited explanation is the Sexual Selection Hypothesis (SSH), which suggests that males kill young sired by other males to prevent them raising kids that aren’t their own and to bring the female back into oestrous sooner. No single theory fits all observed cases of infanticide, although the PH fits many. Unfortunately, it is often difficult to decipher the relationship between infanticidal individuals and their targets, which further complicates explanations. 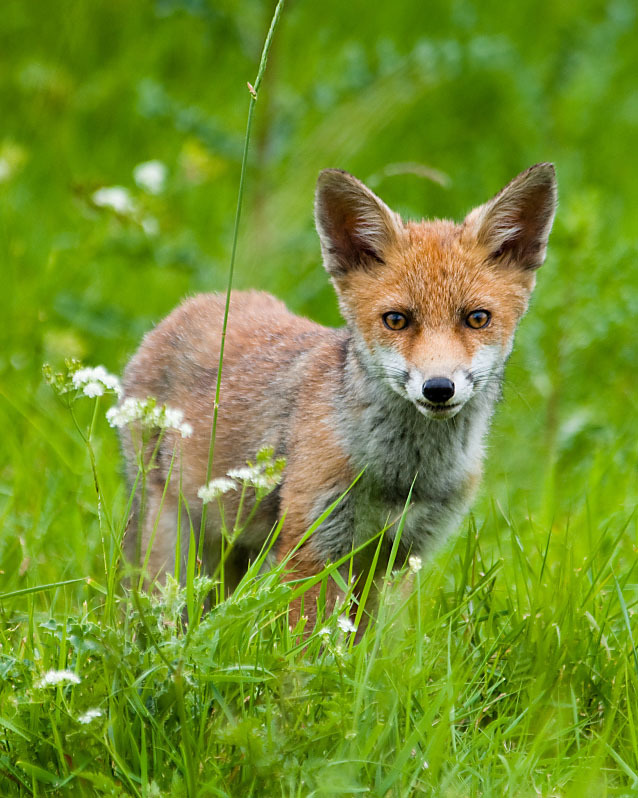 The SSH fits well for certain mammals, especially big cats like lions, but less so for foxes because a vixen won’t come back into oestrous until the following season. In captivity, infanticide seems best explained as a non-adaptive behaviour, while the RCH and PH appear a better fit for most wild observations. The killing of an animal less than a year old (infant) by an adult is a practice known as infanticide and, although literally applicable to the killing of any very young animal by any other, it is more commonly evoked to mean the killing of an infant by an adult of the same species (a conspecific). Infanticide is often broadly divided into two categories, parental and non-parental depending on whether the mother/father is involved, and is a widespread, if poorly understood, phenomenon. In a 1998 paper to the journal Biological Reviews, for example, Boston University biologist Luis Ebensperger listed 93 species of mammal in which non-parental infanticide had been documented, either in captivity or the wild. Ebensperger's list included wolves, bears, badgers, monkeys, apes (including humans) and even rabbits and deer. Infanticide differs from the more commonplace intraspecific killing, where animals kill members of their own species, and cannibalism; young are specifically targeted and the carcass is not always eaten suggesting food may not be the motive. Infanticide appears to be a complex behaviour and there is no single theory that can be applied to all cases. Nonetheless, most cases can be explained by one or more of the five main presiding theories. I don’t wish to get too wrapped up in the details of these theories and so I shall only provide an overview of each here before we look at where foxes fall. Predation Hypothesis (PH): This hypothesis suggests that animals engage in infanticide purely for nutritional gain (i.e. to obtain food) and predicts, accordingly, that the killed youngster will be eaten (i.e. predicts cannibalism); infanticide should thus be more common when conditions are bad and food is scarce. Much of the infanticide documented in chimpanzees and rodents, including squirrels and mice, seems to fit quite nicely within this category – in rodents cannibalism is most often observed when the female is lactating and is thus in need of energy. Resource Competition Hypothesis (RCH): The idea behind the RCH is that the perpetrator kills the youngsters of another individual to give either itself or its offspring a greater share of a limited resource (i.e. food, shelter, water etc.). There are several predictions of the RCH, but we would expect infanticide to be most common when resources were scarce. One suggestion is that a dominant female may suppress the breeding of subordinates in her social group by killing their offspring, thereby ensuring that hers get the best possible start. In a paper to the Journal of Mammalogy during 1992, Joachim Kunkele described infanticide among wild rabbits (Oryctolagus cuniculus) in Germany, concluding that it was the result of females competing for a limited numbers of breeding burrows. Similarly, primatologists at St Andrews and Harvard Universities have observed coalitions of female chimpanzees (Pan troglodytes) killing infants of neighbouring troops as they compete for limited resources in Uganda’s Budongo Forest. The RCH has also been put forward to explain infanticide in wolves, where the pups of subordinates rarely survive for more than a couple of days, and dingoes – in the latter species the dominant female will kill the cubs of any breeding subordinate, after which the subordinate devotes her energies to suckling the dominant mother’s cubs. The breeding female benefits here because not only are there more barren females to help provide for and defend her young, there is also less competition for food, meaning her litter doesn’t have to share with any others in the group. Adoption Avoidance Hypothesis (AAH): This theory suggests that infanticide evolved to prevent alloparental behaviour. In other words, it’s aim is to prevent adults taking over, or playing a significant role in, the raising of kids that aren't their own; from adopting someone else's kid. Alloparental behaviour can include animals other than the mother or father suckling, playing with and guarding young in their social group and is fairly widespread and among social mammals. Sexual Selection Hypothesis (SSH): This is perhaps the most off-cited explanation for infanticide and is the one commonly featured in wildlife documentaries about lions. The SSH argues that a male will kill the dependent offspring of a female for two reasons: to prevent him providing for offspring that aren’t his own and/or to bring a female back into oestrous so he can mate with her. With very few exceptions, mammals don't ovulate while they're lactating, so if a male kills a female's young, she stops lactating and is able to become pregnant again. Perhaps the best example of this is found in lions and, according to research by Craig Packer and Anne Pusey at the University of Minnesota's Lion Research Center, killing existing cubs allows a male to sire cubs up to eight months sooner than if the cubs were spared. Non-adaptive Hypotheses (NAH): In evolutionary biology, behaviour is considered “non-adaptive” if it doesn't help get the animal's genes into the next generation. There are several theories that are grouped under the umbrella term non-adaptive and they suggest that infanticide may come about through traits such as a general increase in aggressiveness or that death may be accidental or come about from aberrant behaviour by the adult. Essentially that the infant was in the wrong place at the wrong time. It appears that infanticidal vixens often bit off the tails of all their cubs and in most, although not all, cases ate the cubs they killed. Braastad also observed a tendency towards subsequent infanticide; if infanticidal vixens were allowed to breed the following year, they were likely to exhibit the behaviour again. Analysis of the infanticidal vixens’ behaviour, compared to that of non-infanticial individuals, suggested that stress could’ve been the cause and Braastad concluded that infanticidal vixens felt more tense and insecure than ‘normal’ ones. 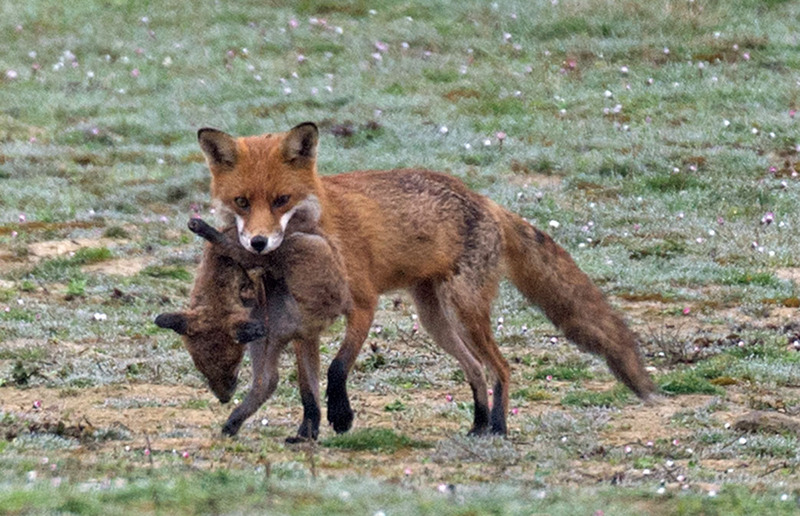 In a more detailed study, published in the same journal six years later, Braastad and his colleague Morten Bakken described infanticidal behaviour in their farmed foxes and compared new mothers (primiparous) to more experienced (multiparous) vixens. The biologists recovered the bodies of 54 dead cubs, 41 (76%) of which had been bitten and presumably killed by their mother. Many of the same behaviours reported in the 1987 abstract also appear here, although there are some interesting disparities between the two groups in this study. Primiparous vixens tended to kill their cubs instantly with a bite to the skull, while multiparous vixens were more likely to kill their cubs through a gradual process that began with tail- and limb-biting. Indeed, primiparous vixens were observed to abandon or kill their cubs significantly earlier than multiparous females, although there was no significant tendency for primiparous vixens to be more likely than multiparous females to commit infanticide in the first place. 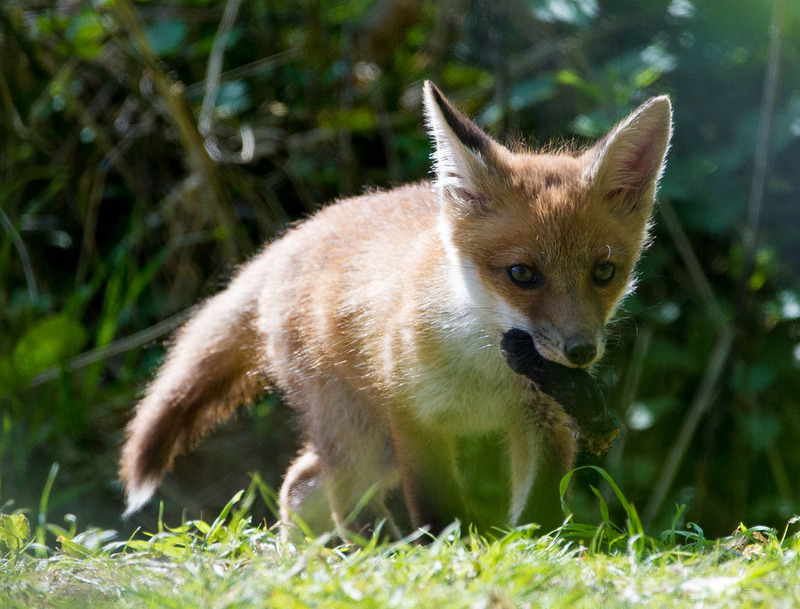 The researchers also found that, although there was no obvious pattern suggesting a vixen is either always or never infanticidal, a vixen that was infanticidal in one year was more likely to be infanticidal in subsequent ones. As before there was a tendency for dead cubs to be treated as prey and “were sometimes buried under wool tangles, only to be dug up a few hours later and eaten”. Braastad and Bakken point out that, in the wild, several of the infanticidal vixens were unlikely to have bred, owing to their low social status, and this may indicate that social stress is an important factor. Indeed, Braastad had previously demonstrated that vixens of any age were generally calmer and showed lower cub mortality when provided with more secluded breeding boxes that had narrower entrances and when kept away from other foxes. 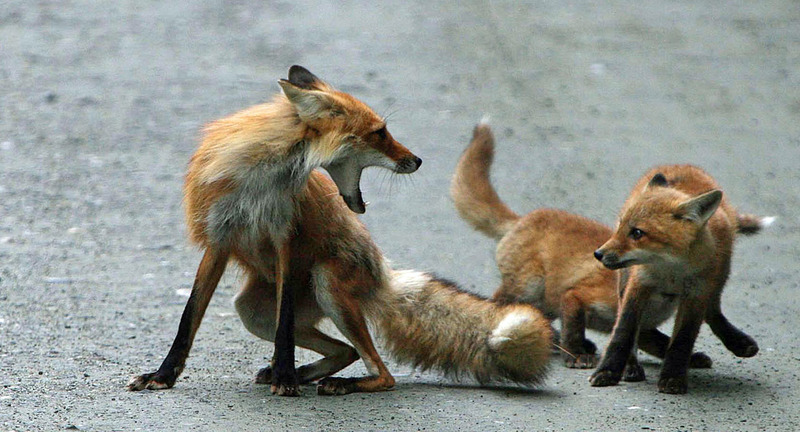 The authors concluded that low social status increases ‘fear level’ and that successful reproducers have lower fear levels than infanticidal ones – they suggest that, as much of the tail-biting occurred during grooming, more agitated vixens may be rougher with their cubs and the resulting bleeding tail may attract more licking and biting. It’s always difficult to take data collected from captive animals, especially in the highly artificial environment of a fur farm, and apply it to wild individuals. The Norwegian data do, nonetheless, suggest that if the social hierarchy of wild fox groups suppresses subordinate breeding in the first place, infanticide should be rare. Whether a vixen breeds in any given year is largely a result of the level of mortality the population is subjected to. 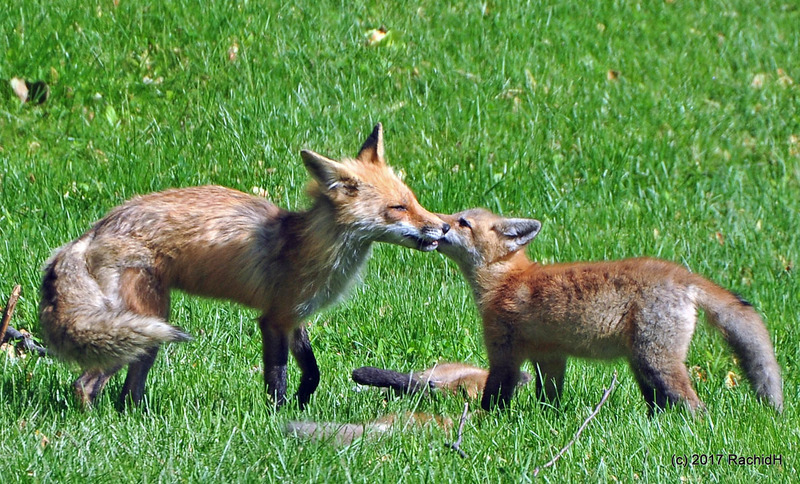 In populations where mortality is high, stable family groups cannot become established and foxes tend to live in pairs – in such cases, most vixens will breed. Where social groups form, daughters of the dominant vixen may remain on the territory for several years, during which time they’re unlikely to breed; there are exceptions, but typically only one vixen in a group will succeed in raising a litter. Under conditions of low mortality, around one-third of vixens will be barren. Braastad’s data, as well as that collected for various species, suggest that infanticide is most likely to occur during the first couple of weeks of life, which makes it difficult to establish how common it is in the wild because much presumably happens out of sight. Indeed, the vixen spends the majority (95% or more) of her time in or very close to the earth for seven to ten days after the cubs are born, and the cubs remain underground until they’re four or five weeks old. This presumably accounts for the rarity of reports from the wild. I’m aware of only one other published case of confirmed maternal infanticide and this was also under captive conditions, although they were more natural than those at the fur farm. Between 1972 and ‘79 Oxford University zoologist David Macdonald studied Red fox social groups on Boar Hill in Oxford. Professor Macdonald tracked and observed wild foxes, and closely observed hand-reared animals living in a one kilometre-squared (just under one-third sq-mile) enclosure containing vegetation and artificial earths. During his studies on the captive foxes, Macdonald described how one of the vixens had become very nervous and started running about the enclosure with one of her cubs in her mouth; eventually this rough treatment became too much and the cub died. All four of this vixen’s cubs died after being subjected to the same behaviour. Interestingly, this vixen had raised a litter the year before and had been a calm mother at that point – when the last cub of her second litter had died, the vixen returned to a calm disposition. This observation lends support to Braastad’s suggestion that stress can be a progenitor to infanticide. There are three cases of wild fox infanticide that I’m aware of in the literature. The first was an account made by long-time fox watcher Mr R. Bigland and mentioned by Macdonald in a fascinating 1977 paper detailing fox food preferences. After finding the “largely devoured” body of a fox cub at an earth, Bigland retired to a safe distance and watched. He described how he saw a vixen jump over a wall into the field where her earth was situated, carrying a dead cub in her mouth. The vixen approached the earth, dropped the cub and called her own cubs which then “fell upon the dead cub”. At this point Bigland approached and scared the cubs back underground, allowing him to examine the corpse – the body was larger than the cubs he’d scared away, still warm and appeared to have been killed by a bite to the back of the neck at the base of the skull. Bigland knew the local fox families well and immediately proceeded to the nearest earth in the direction from which the vixen had come (three fields away); upon arrival he found deep scratches in the soil around the earth entrance and several drops of fresh (uncongealed) blood on the roof of the entrance, suggesting that the cub had been dragged out. Unfortunately, the relationship between the two families was unknown. The remaining two incidents were recounted by University of British Columbia student (at the time studying at Trent University) Valeria Vergara in a paper to The Canadian Field-Naturalist during 2001. In the paper, Vergara described two cases of infanticide in a fox family consisting of an adult male, adult female and nine cubs that she was studying in Southern Ontario, Canada during May 1995. On the first occasion the mother was seen to flee from the earth a few minutes before an unknown (not previously recorded at the site) adult fox approached. The intruder adopted an aggressive stance with back arched, head and neck low as it approached the earth. One cub crouched down and flattened its ears before retreating underground. With the cub out of sight the stranger resumed its trot until it came across a second cub, at which point it immediately resumed its threat posture. As the cub turned to retreat underground, the stranger stalked it very briefly before dashing towards it, seizing it by the neck and shaking it vigorously. The stranger “then scurried away carrying the limp body of the kit [cub] in its mouth”. The second incident took place three days later at the same earth when an adult approached and the cubs crouched down, suggesting it was a stranger. This adult adopted the same aggressive posture as the previous stranger before seizing a cub by the neck and shaking it for a few seconds before the mother arrived back at the earth. The mother chased the intruder away, causing it to drop the dead cub. So, which of the five infanticide explanations best explains the behaviour in foxes? Unfortunately, we cannot say for certain. Even under captive conditions, where the relationships are known and the environment can be controlled, behaviour is often triggered by several stimuli that are difficult, if not impossible, to tease apart. We can, however, look at how the predictions made by the infanticide hypotheses fit the cases we have seen. The maternal infanticide observed by Braastad, Bakken and Macdonald implies a non-adaptive behaviour. These foxes were kept in enclosures and supplied with food and water (so they presumably weren’t hungry) and the death of the cubs appeared to have little impact on the mother, except for apparently calming the Oxford vixen. The burying of the dead cubs by the farmed vixens does suggest that it was seen as food, but it doesn’t seem that hunger was the motivation behind the initial killing. Interestingly, in many cases of infanticide, especially in lions, consumption of the body is rare. Recently, Willem van Heerder filmed some extraordinary lion behaviour at a private game reserve in South Africa. Following reports of two males fighting, van Heerder arrived on the scene and found the body of a recently killed cub; its spine was partially protruding, suggesting its back had been broken. A male approached the cub and licked it before picking it up and carrying it into some nearby undergrowth where it laid down and proceeded to eat it. Although infanticide is common among lions, reports of consumption of the cub are very rare and, particularly in this instance, so too are descriptions of the lion’s behaviour while it was eating the body. The lion was making the ‘grimacing’ facial posture generally associated with flehmen and a soft hissing noise that, according to Wouter van Hoven at the Pretoria University in South Africa, is normally a subordinate display. van Hoven suggested that the facial posture and hissing implied that the eating of the cub was more symbolic than hunger-driven. I have seen similar footage where a female leopard cornered a python that had eaten her cub; she harassed the snake until it regurgitated the cub’s body, which she then sat and ate. I am not suggesting that the consumption of dead cubs by the fur farm vixens was in any way symbolic and there is no evidence to support such a conclusion; this is just to highlight that consumption may not always be a response to hunger. In the cases described by Braastad and Bakken, it seems more likely that the vixen merely saw the dead cub as a potential food source and thus buried it for later consumption – waste not, want not, so to speak. It is often suggested that one advantage of philopatry (living with your folks) for young vixens is that it allows them to gain experience of raising cubs by watching and helping their parents. If this is accurate, it follows that a vixen is potentially more likely to lose her first litter if she has it while she’s young. Inexperience can take many forms but includes being too rough with the cubs such that it causes fatal injuries. It is always difficult to ascribe meanings to behaviours when you don’t know the relationship between the two individuals – this is especially true when attempting to interpret infanticidal actions. 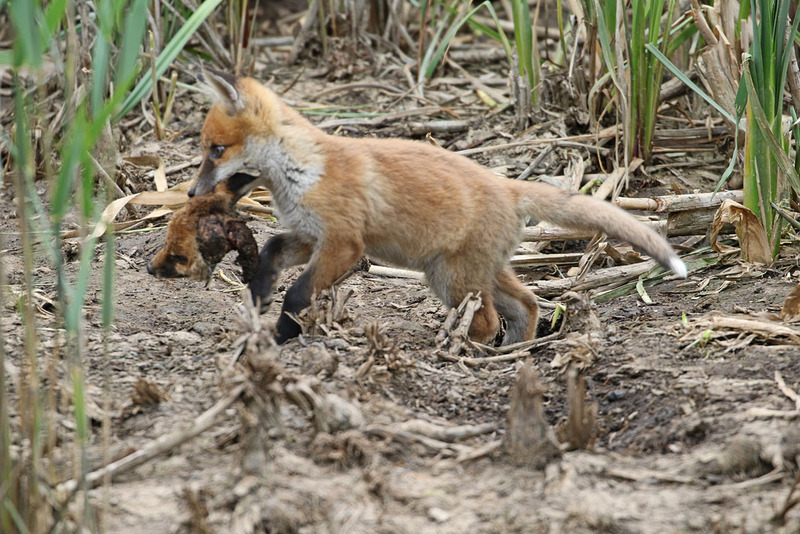 Nonetheless, the cases that we have seen among wild foxes imply a more adaptive explanation to infanticide. 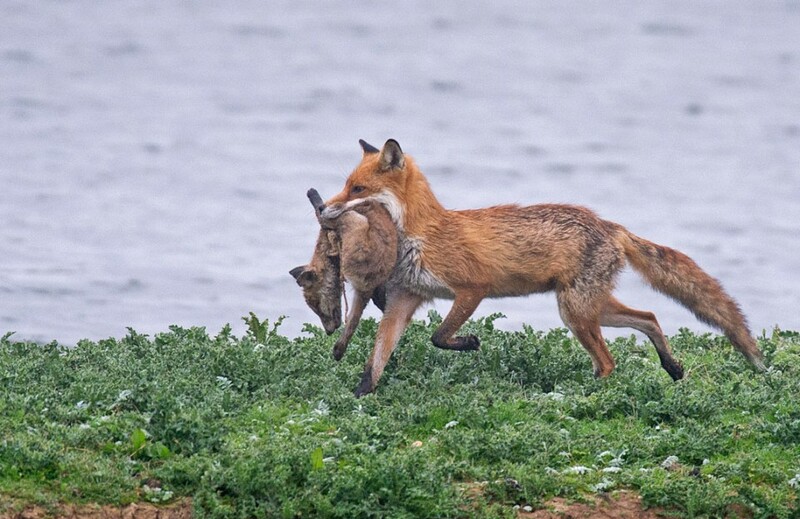 The infanticide described by Bigland appears to fall clearly under the predation hypothesis: the vixen was going to a nearby earth, killing a cub and bringing it back to feed to her own cubs, which were clearly hungry. There may be other, underlying, reasons for the behaviour (she may be less adept at catching birds and small mammals and thus the neighbouring cubs may represent a ‘soft target’, for example) and there may even be an element of resource competition because killing the neighbouring cubs reduces competition for her own, but these require additional speculation. Ultimately, Occam’s Razor suggests this case is best explained by the PH. The PH probably also explains the first case described by Vergara in Canada, although we cannot be certain. In the first case we know that the intruder left with the cub in its mouth and, although we don’t know what happened to it afterwards, consumption seems likely. The second case is a little less clear as the mother chased off the intruder almost as soon as the cub had been killed; we cannot be sure that the intruder would’ve left with the cub had the mother not returned. So, we have one case where the PH seems to fit best and another in which we simply cannot say. In both incidents, however, there are elements of the strangers’ behaviour that are very interesting and imply there may be more to the interactions than the PH alone predicts. 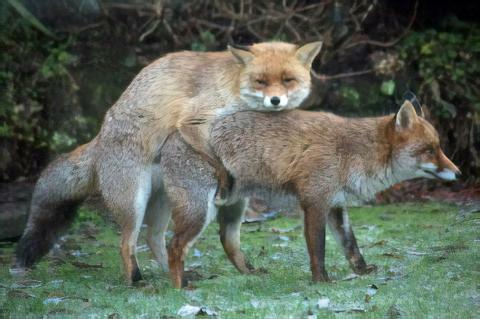 In both cases the stranger exhibited an agonistic body posture that, in my experience, foxes do not adopt when hunting their normal prey. Indeed, this aggressive posturing is something we commonly see during competitive interactions; when fighting with a potential competitor, such as a cat or another fox, for example. Thus, there may be an element of the RCH to these encounters and, if so, it seems more logical that the RCH would be the principle explanation, with predation being a ‘side effect’. In the case from Essex the explanation is highly elusive as we know neither the relationship of the adult to the cub, nor the behaviour of the two prior to the cub being caught. We do, however, know that the adult didn’t consume the cub and, given that it didn’t appear to get scared away from the carcass, presumably had no intention of do so. Thus, all we can say for certain is that the PH doesn’t appear to fit and RCH may be more applicable here. We have seen that most cases of infanticide in this species can probably be explained by the RCH, PH or can be considered non-adaptive behaviour. This raises the question of whether the SSH can be applied to Red foxes? The sexual selection hypothesis (SSH), as we have seen, predicts that infanticide occurs as a result of sexual competition. It is frequently used to explain infanticide in lions, where a new male will kill all the cubs in a pride he has recently taken over. Could this also explain some infanticide in foxes? The short answer is that it seems unlikely. Lions (indeed, all cats) are what we call induced ovulators, which means that they have no fixed breeding season because the act of mating stimulates females to release eggs. In mammals, however, ovulation is closely linked to milk production. During lactation the body produces high levels of a hormone called prolactin, the presence of which suppresses two other hormones, oestrogens and progesterone, that are required for follicle development, ovulation and implantation. All the time the mother is producing milk for her young, the circulating prolactin suppresses the production of reproductive hormones and thus the female won’t ovulate. If, however, the young are killed then the milk goes un-utilised and the levels of prolactin drop, which allows oestrogen production to rise and the female to ovulate again. Thus, by killing dependent cubs, a male lion can bring a female back into oestrous. Given that lion cubs are dependent on their mothers for the first two years of their lives and most males only have a couple of years in which to pass on their genes, infanticide is a prime solution to their problem. So, infanticide works for lions, but the same principles do not apply to foxes. Foxes, like most mammals, are spontaneous ovulators, which means they have a fixed breeding season – more specifically, foxes are monestrous, meaning they have on breeding season per year. Indeed, vixens are receptive for only a few days each cycle, between December and February. Consequently, even by killing a vixen’s litter, a dog fox could not bring her back into oestrous. To ensure he is her mate in the following season, he would then need to stay with her until she comes back into season, could be eight months or more. Thus, in conclusion we can say that the RCH and PH, as well as certain non-adaptive hypotheses, appear to explain some cases of infanticide in Red foxes. 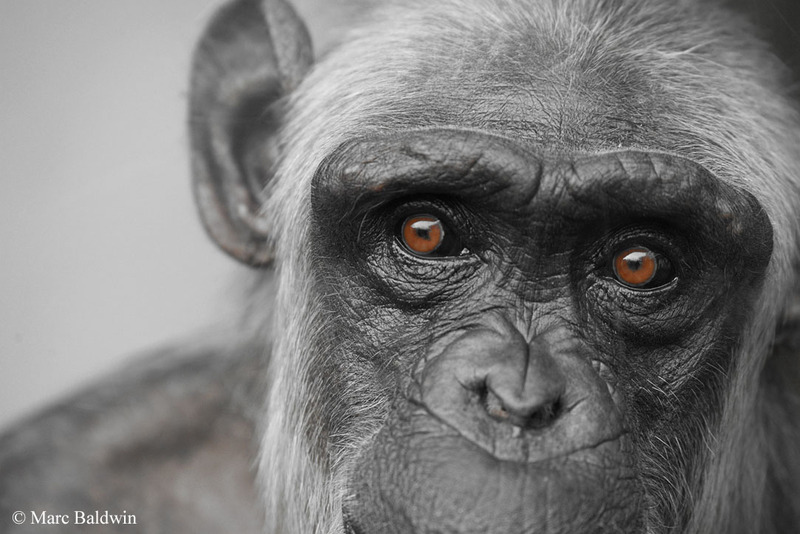 Our inability to ascribe relatedness in many cases, and that we only observe a fraction of the animals’ behaviour, means we cannot be certain as to the cause(s). Nonetheless, the AA and SSH do not seem to fit as explanations of infanticidal behaviour in these animals.